Southern Finland is a productive steppe with wandering mammoths. Europe has cave lions, woolly rhinoceri and giant goats. Many human species are still alive. Our nearest relative, the Neanderthal man, goes extinct. Modern human makes the cave paintings at Europe. The climate was warmer during the interglacial period 30 000 years ago. Southern Finland was free of the glacier, productive steppe with wandering mammoths. There was cave lions, woolly rhinoceri and giant goats at Europe. Water levels were low, and the islands of the Baltic Sea were fused into the continent. Four human species were still alive ( H. sapiens, H. nearderthalis, H. erectus, H. florensiensis ). Modern human has MIGRATED or was migrating to Europe, Ausralia and maybe alsó to the American continent. In Europe there was plenty of megafauna, such as Steppe bisons, woolly rhinoceros Irish giant deers and cave lions. Modern human made ellaborate cave paintings at Chauvet, Southern France. The close relative, the Neanderthal human, went extinct for unknown reason about 28 000 years ago.The name of the Neardertahl man comes from the Neander river valley in Germany the where the first fossils of this species were found in 1856. 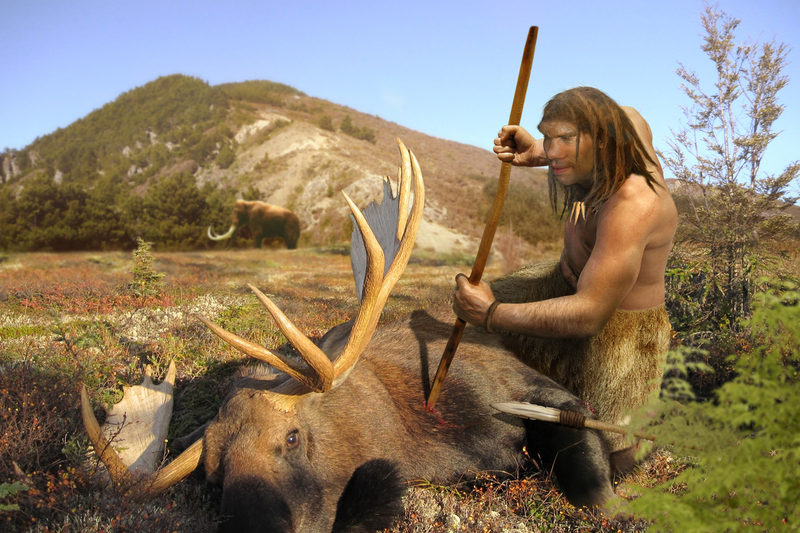 The Neanderthal people hunted big game and lived all over Europe, until Near East and the Middle-Asia. They were sturdier, with shorter limbs, and with somewhat larger brains than the modern humans. They were able to speak, sweet Complicated tools, and apparently, even to create art. Our genomic sequences reveal That all modern humans, except for the Africans, bear about 4-5% of Neanderdahlian heritage, after some inter-breeding 50-80 000 years ago. 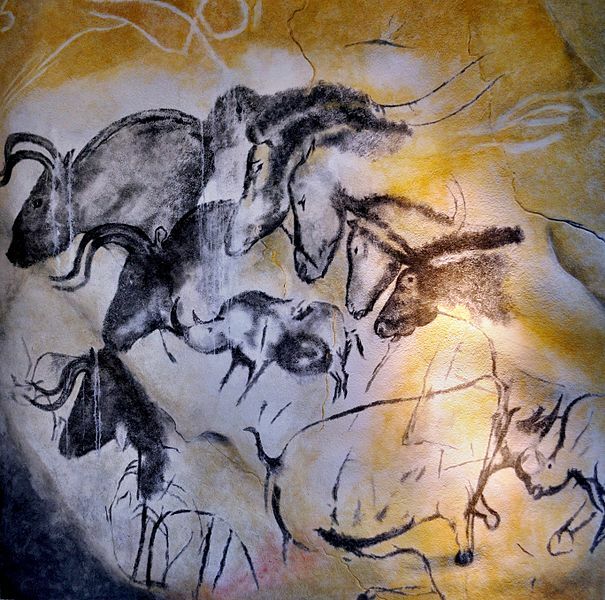 Early cave paintings by modern human from Chauvet-Pont-d’Arc Cave. Image: Thomas T, Wikimedia.